In the months before the July 7 London bombings in 2005, a woman confronts the death of her son, the impending death of her mother, and her own various prejudices. When she arrives in London to care for her dying mother, Esther’s life is in shambles. She has left her husband and her job as a museum conservationist; she’s also grieving the death of her son in a swimming accident almost three years earlier. Esther doesn’t know quite what to make of her life now. In London, she meets Javad, her mother’s next-door neighbor, an Iranian transplant to England as well as a neuroscientist. Javad lives with his 19-year-old son, Amir, whom Esther is vaguely suspicious of. Singer’s (The Pale of Settlement, 2007) first novel begins in the months before the July 7 terrorist attacks in London, and it is suffused with the paranoia that overtook much of the non-Muslim Western world after 9/11. Esther, who soon begins seeing Javad, suspects Amir of something she can’t quite name; in fact, the first time she lays eyes on him, at 3 a.m. on his own front stoop, she assumes he’s trying to break in. Singer is a capable storyteller, but these suspicions of Esther’s are hard to sympathize with. Actually, they’re a bit too reminiscent of a certain episode of 30 Rock in which Liz Lemon reports her innocent Middle Eastern neighbors to the authorities—except that Singer lacks Tina Fey’s wry, self-eviscerating humor. When July 7 finally arrives, Esther’s and her mother’s fates are meant to implode with Javad’s and Amir’s, but the various storylines ultimately fail to come together. 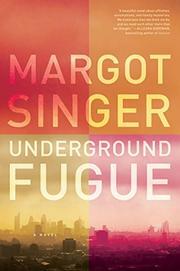 Singer’s plot is too heavily schematic, her prose too effortful, for the novel to breathe on its own. This ambitious first novel never comes fully to life.